Hey Everyone! I know that some of you may be getting tired of Birthday cards so I thought that I would change it up. As mentioned before I am working my way through a couple different orders of cards for some of my friends, and this order is an assorted bunch of cards (30 to be exact). In this order I thought that I would include a Father's Day card. I started first by colouring the image, and then paired it with pieces of scrap papers that I had in my scrap box. I pulled out my Prisma coloured Pencil Crayons because I wanted to play with them some more and work on getting comfortable blending and working with the gamsol and blending stumps. With it being Fall here and the temperatures changing, I thought that I would use kraft colours, and some warmer (fall like) colours. 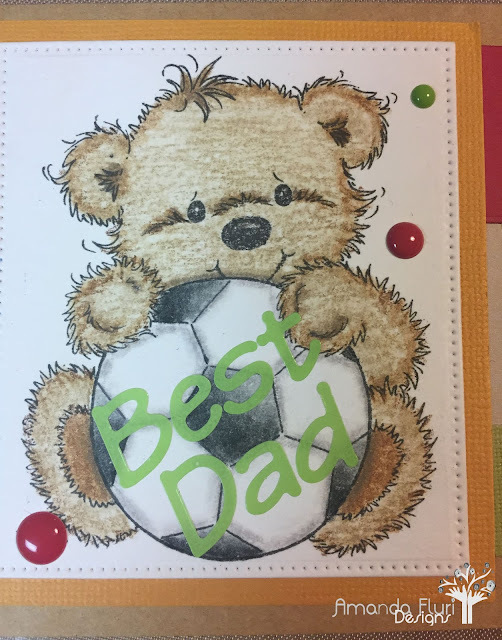 I again personalized this card with some sticker letters for the wording on the soccer ball, and used a layout that I used not long ago on a Birthday Card, because I really like how it looks all put together. EK Success Tweezers - used to position the letters onto the front of this card. Double Sided Tape - used to attach the various layers of this card to the card base. 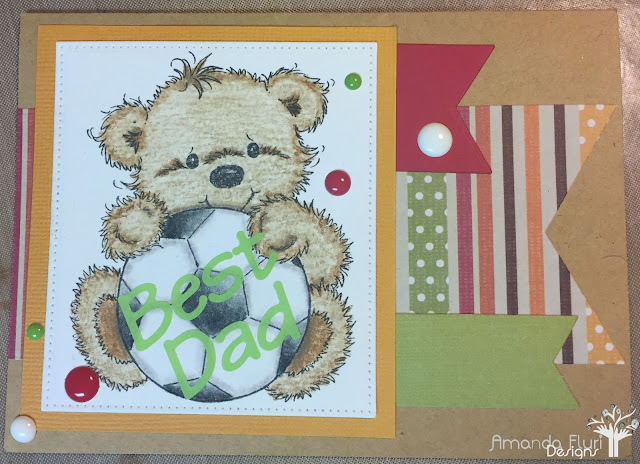 Kraft Paper - used as the card base for this card. Red, Green, and Orange papers - scraps of paper so no exact link is available as I don't know what the source is for them. Thanks for stopping by to visit and I hope that you join me for Day 20.